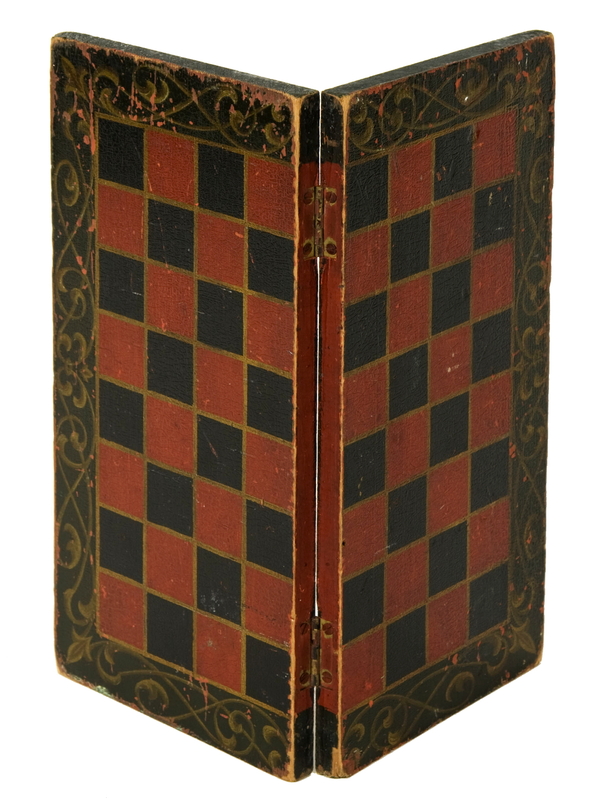 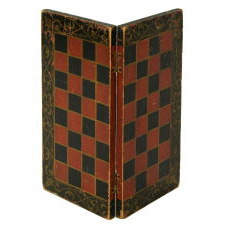 Dimensions (inches): 15" x 15" x .75"
This diminutive, folding, checkers & chess game board was found in New England and probably can be attributed to Vermont or New Hampshire. 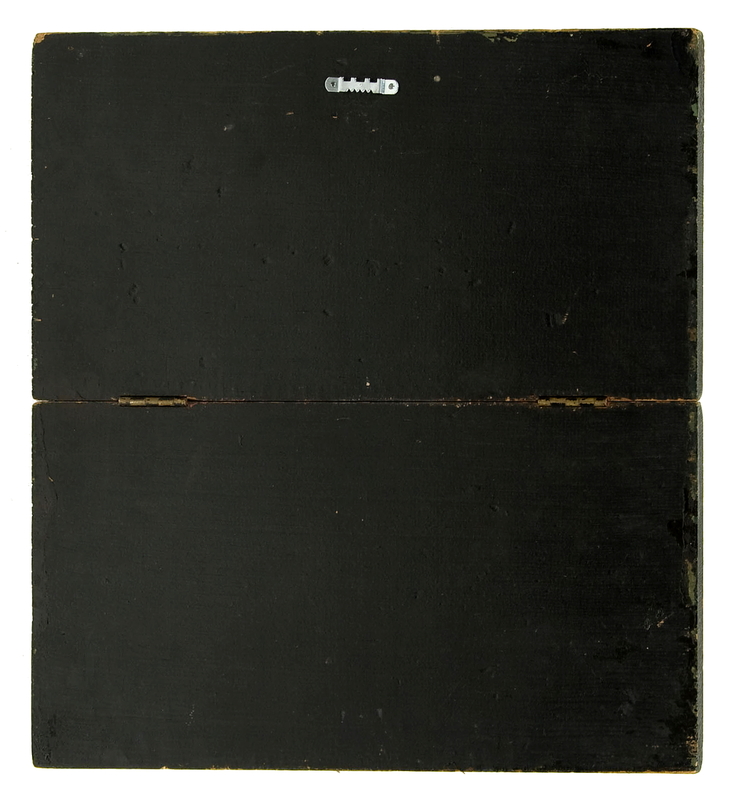 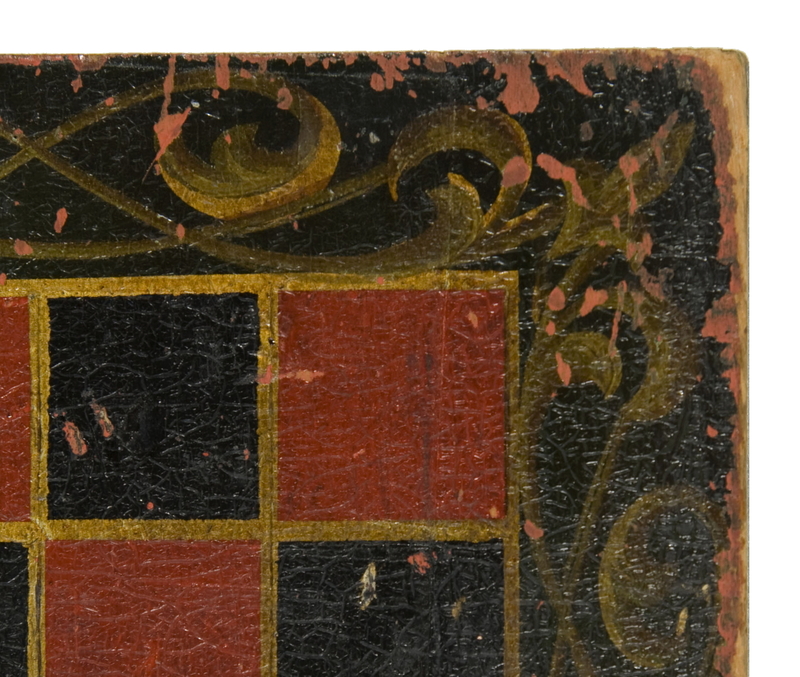 The primary colors are traditional in black and red, and the polychrome paint has great early surface with fine craquelure. 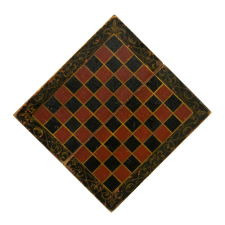 The best part of the board, however, can be found in its fanciful, shadowed scrollwork border that incorporates attractive flur-de-lis designs. 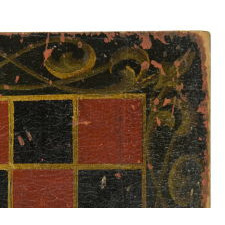 Painted on two planks, joined with two brass hinges. 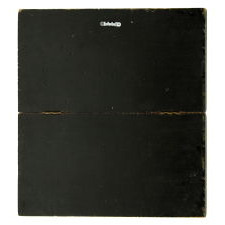 Condition: Very good, expected wear.